Lady Elizabeth Selina Georgiana Meade was the daughter of Admiral Richard James Meade, 4th Earl of Clanwilliam and Elizabeth Henrietta Kennedy.2 She married Captain Hon. Edward Stanley Dawson, son of Richard Dawson, 1st Earl of Dartrey and Augusta Stanley, on 27 April 1898.1 She died on 13 October 1924. She held the office of Woman of the Bedchamber to HM Queen Mary.1 From 27 April 1898, her married name became Dawson. [S21] L. G. Pine, The New Extinct Peerage 1884-1971: Containing Extinct, Abeyant, Dormant and Suspended Peerages With Genealogies and Arms (London, U.K.: Heraldry Today, 1972), page 98. Hereinafter cited as The New Extinct Peerage. 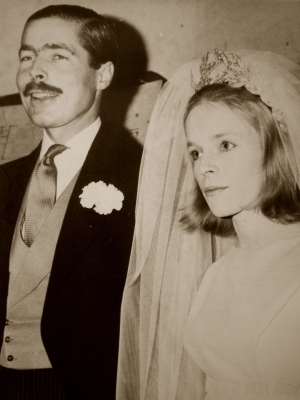 Richard Bingham, 7th Earl of Lucan and Veronica Duncan. 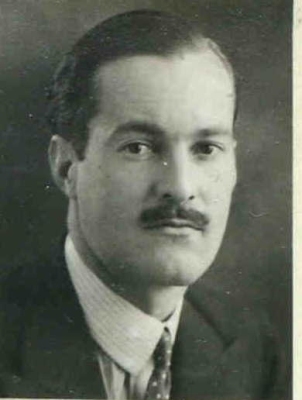 He was educated at Eton College, Windsor, Berkshire, EnglandG.1 He was educated at Magdalen College, Oxford University, Oxford, Oxfordshire, EnglandG.1 He gained the rank of Captain in the North Somerset Yeomanry.1 He fought in the First World War.1 He fought in the Second World War.1 He gained the rank of Honorary Lieutenant-Colonel in the Corps of Military Police.1 He lived at Little Gaddesden, Hertfordshire, EnglandG. [S465] Marquis Ruvigny, Plantagenet Roll of the Blood Royal, being a complete table of all the descendants now living of Edward III, King of England: Essex Volume (Baltimore: Genealogical Publishing Company, 1907), page 263. Hereinafter cited as Plantagenet Roll of the Blood Royal: Essex.